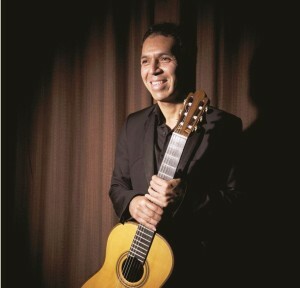 Jorge Caballero, an internationally award-winning classical guitarist, will perform at the Chester Meeting House on Sunday, Nov. 29 at 5 p.m. Tickets are available through CollomoreConcerts.org. On Sunday, Nov. 29 at the Chester Meeting House, the Collomore Concert Series is honored to present classical guitarist Jorge Caballero, the youngest musician and the only guitarist to win the Naumburg International Competition, one of the most prestigious and coveted awards given to performers of any instrument. Jorge Caballero’s Chester Meeting House concert will be at 5 p.m. on Nov. 29. Tickets are $24, adult; $5, student, and are available through the website, CollomoreConcerts.org or by calling 860-526-5162. Ticket holders are invited to stay for the reception after the concert to meet the musician and enjoy refreshments donated by Dough on Main. This is the last concert in the 42nd season of the Collomore Concert series.